In Woody Allen’s Midnight in Paris, Owen Wilson plays Gil, a vacationing screenwriter working on a novel about a man who owns a nostalgia shop. That a screenwriter would have this notion seems about par for the course, as Hollywood has almost completely turned itself into just that: a nostalgia shop. Comic books, toys, cartoons, amusement park rides, old movies and now even board games – it’s all fair game for a cinematic rendering in a way that didn’t exist, or at least not with any real quality, a decade ago. Gil, of course, magically goes back in time and visits his favorite writers in 1920s Paris, falling in love. 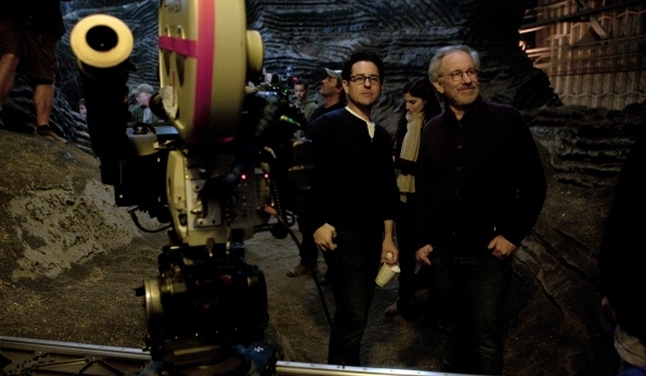 For most of today’s directors, it’s not nearly as far a journey. Many just can’t get past how rad the ’80s were, or get over how wizard the ’70s were, when Steven Spielberg made their favorite movies. But in these re-tellings, the memories they are reshaping are too often secondhand themselves, memories that directors like Spielberg, George Lucas, the Bobs (Zemeckis and Gale) or Martin Scorsese originally got from the B-movies, serials and television of their own childhoods. Like the ever-worsening quality of a cassette tape, the further down the generational line you get from the original, the more fuzzy and shapeless things get. -I would venture to guess that this new-fangled Winnie the Pooh story has at least as much, if not much more, power with adults as it does with kids. This is the type of Disney piece that I’m sentimental and nostalgic about from my own youth. The Winnie the Pooh show was something I watched all the time as a kid, even into my teenage years. And this movie goes further into being for adults by having John Cleese narrate and interact with Pooh. It’s a superb narration, the kind of thing Cleese is perfect for as anyone who listened to his audio book version of The Screwtape Letters might know. I’m not sure what such an addition might mean to a child, but it’s perfect for the adults in the room who, if they have kids, will have to watch it dozens of times. I might watch it dozens of times myself, and the idea of having children is repellent to me. -The running time is a little bit of a problem. It’s barely over an hour with the full credits (though the credits do feature some more animation of the Pooh gang). 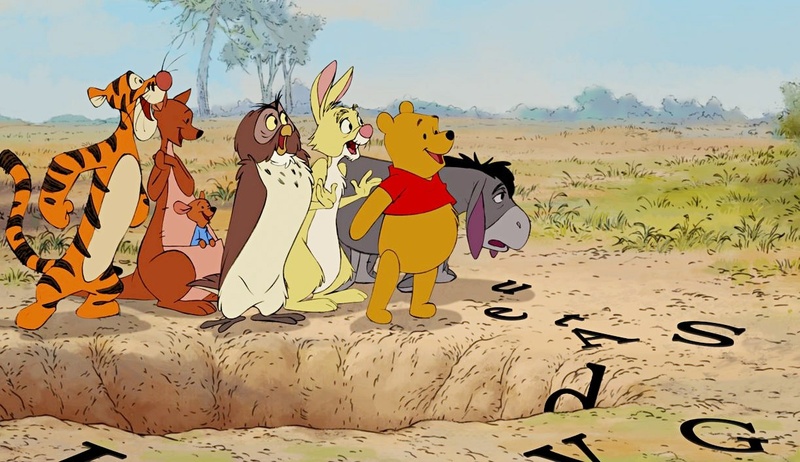 I mean, it’s a fine running time for kids who have not yet gone on Adderall or Ritalin, but the rest of us are left wanting more story, more gags, more of Pooh’s rumbling belly song.